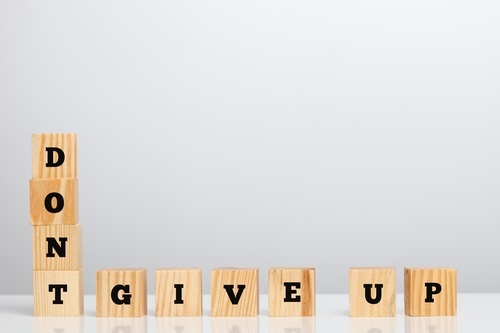 When you have committed to the physical, emotional, and financial demands of IVF, an unsuccessful cycle can be a huge blow, and the question of whether to try again is often fraught. Well-meaning friends and family watching a couple go through the repeated grief of failed IVF attempts, may apply subtle pressure to give up and move on. Patients themselves may have the impression that after the third or even fourth attempt, their prognosis is bleak. However, a study released by the University of Bristol in the UK has reported that hanging in there through multiple cycles may be worth it. The study covered a huge cohort of patients over the course of seven years: more than 150,000 women, undergoing more than 250,000 IVF cycles. 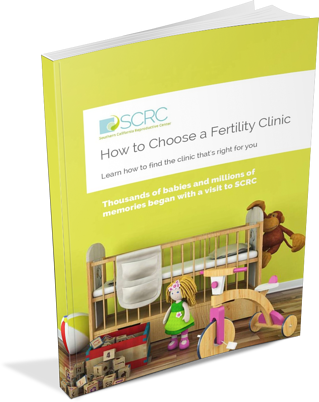 Researchers from the University of Bristol and the University of Glasgow followed the women through multiple IVF attempts to see if their chance of achieving a successful pregnancy increased or decreased over time and with the number of cycles. For the women in the study, a cycle of IVF was defined as “an episode of ovarian stimulation and all subsequent separate fresh and frozen embryo transfers.” What the researchers found was that the outcomes of the early cycles seemed to be independent of the later ones, especially in cases where the woman was younger than 40 years old. The idea that early unsuccessful cycles do not predict future disappointment runs contrary to the instincts of many patients and experts alike, who often suspect that the chances of success grow smaller as the failed cycles stack up. On the contrary, what the study uncovered was that the cumulative chances of pregnancy climb with each cycle, and that almost two-thirds of women who undergo IVF will have had a child by the 6th cycle. In fact, the cumulative rate for a successful live birth continued to increase (albeit modestly) up to the 9th attempt. Another very hopeful result of the study was that there was no evidence found that even women who produced no eggs (or who produced less than two eggs per cycle) were less likely to become pregnant in future cycles. For patients who have waited so long and been through so much in the quest to have a baby, the common idea that they simply need to “be patient” can be extremely hurtful. That is not what these results suggest. It takes a lot of courage to keep going through the pain of infertility, and it takes a lot of wisdom to know your limits. Only you, your partner and your doctor can decide whether it is the right decision to push on in the face of repeated disappointment. IVF is a huge investment on every level. Not all patients want to or are able to continue with multiple cycles. Financial considerations and insurance caps are an unfortunate reality for many. For others, the physical toll of repeated IVF attempts is too much to ask. While IVF is extremely safe, risks such as Ovarian Hyperstimulation Syndrome, while rare, are worth considering. Your quality of life as you try to get pregnant is something else to pay close attention to. For some patients, the psychological and emotional price is too high. For those with the financial and emotional reserves to keep trying, however, these results may give them the necessary boost to move forward with more cycles. As with every aspect of Assisted Reproductive Technologies, every single case is unique, so there is no way of telling exactly how likely one specific patient is to succeed on any specific cycle. However, the strength of this statistical evidence is extremely encouraging. This is the first time that a study with so many participants has demonstrated that persistence in IVF, even when things seem hopeless, can result in a happy ending.